Those jailed for what are deemed to be political offences can expect to fare much worse than common criminals, even murderers or rapists. The reason is because they have offended society, whereas those classed as political prisoners have challenged the governance of a state, whether that is a democracy or a dictatorship. So it was with the suffragettes. Very few – less than 100 – were prepared to pay an extraordinarily heavy price for their principles. They endured police brutality and violent force-feeding in prison which amounted to torture. For many the physical damage and certainly the painful recollection of it was lifelong. Never before have I handled the famous Medal for Valour of Emmeline and Christabel Pankhurst's Women's Social and Political Union. 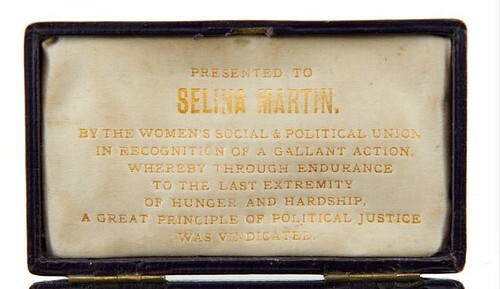 Next month Mellors & Kirk will sell that awarded to the militant suffragette Selina Martin (1882-1972). None of the medals are ‘ordinary' in the sense that only extraordinary events merited it, but even so Selina's story is truly amazing. The medal is engraved with her name and the dates of the occasions in 1909 when she was ‘ FED BY FORCE' in prison. 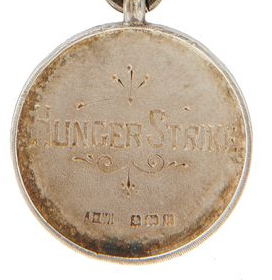 It is struck in silver and was hallmarked at Birmingham in 1909. Selina was born at Ulverston in Lancashire but when young her parents moved to Lancaster where her father opened a secondhand book shop. 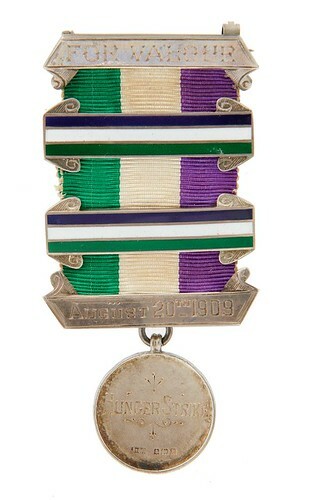 With the medal, which is being sold by a family member, is a major archive of letters from Christabel Pankhurst and other prominent figures in the movement, letters Selina wrote from prison, another suffragette's letter that was smuggled out of the prison and a notorious letter to her father from the Prison Governor of Walton Jail in Liverpool. Best of all was the hunger striker's medal of suffragette Selina Martin (1882-1972) awarded by Emmeline and Christabel Pankhurst's Women's Social and Political Union in 1909. 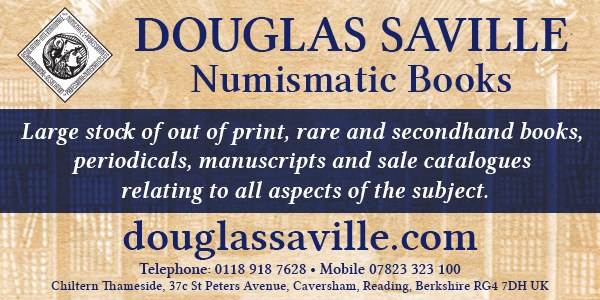 It sold for £27,000. Having been the centrepiece of the recent exhibition Represent! Voices 100 Years On at the People's History Museum, the Manchester museum requested a delay to Crowdfund an appeal for its purchase. It was not to be. Instead this highly important object, with a mini archive of letters and documents, was bought by a benefactor of the National Gallery of Victoria, Australia.